Eentrepreneur” or simply “a farmer.” Instead, the twisted Soviet creativity labeled her a “kulak” and treated her with all consequences of the meaning of the word. March, 1949. Though the sun was growing higher and higher above the horizon, with promises of sunnier days to come, the spring days remained cold. The soil was frozen solid. Clear skies became flurries at a moment’s notice. Operation “Priboi” (“Tide”) began with a pounding on the door in the early hours of March 25. 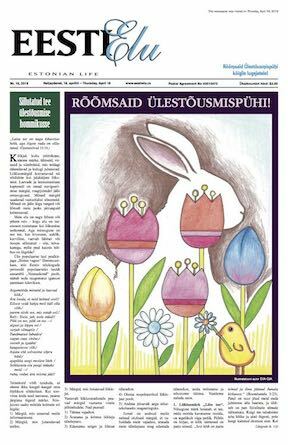 This was a wake-up call that changed the lives of many Estonians forever. NKGB (People’s Commissariat for State Security) agents and their collaborators went from home to home, reading a decree that declared its residents under arrest and subject to deportation. They were given an hour to pack and the property left was seized. This all happened without any due process. In the course of the operation, over 22,000 people were arrested and dispatched to remote areas of the Soviet Union. Most went to parts of Siberia and Kazakhstan. The youngest deportee was less than a year old and the oldest was ninety-five. To fill quotas, Soviet operatives replaced those who managed to evade them with whomever they could find, including family members or others seized at random. My great-grandmother was one of the people who faced this early-morning visit and, ultimately, a trip to Siberia by animal carriage. She was a fine Estonian woman, the embodiment of strong will and determination, love and care. In independent Estonia, her family ran a successful farm. While focusing on cattle breeding, the farm also produced cheese and butter, raised grains, and grew fruits and vegetables. The farm no longer exists but, against all odds, some of the apple trees planted almost 100 years ago are still there. People who knew my great-grandmother and who worked with her at the farm spoke highly and affectionately of her. She passed away in 1971. Despite being a little boy at the time, I still remember the days we spent together. This is just a tiny piece of my family story. “Vabamu,” the Museum of Occupations and Freedom, in Tallinn and the Estonian National Museum in Tartu recount hundreds of stories of that same horrific night, when thousands of innocent victims met the villainy of the Soviet regime. They tell the story of the crimes against humanity that took place in Estonia. Thousands of deported Estonians never returned. In the best of cases, those who perished were remembered by unmarked wooden crosses at their final resting place, in the vast Siberian expanse. In the worst of cases, people just went missing in “The Gulag Archipelago,” the Soviet forced labor camp system described in detail in a book by Aleksandr Solzhenitsyn. In a free world, my great-grandmother would have been considered “an entrepreneur” or simply “a farmer.” Instead, the twisted Soviet creativity labeled her a “kulak” (“fist"). The Soviet political vocabulary used the word “kulak” for folks who were declared “enemies of the people” because they were better off than others. Lenin’s “political vision” saw that capitalists, landowners, “kulaks,” and their offspring were the internal adversary of the Soviet regime. They were therefore targeted, repressed and exterminated in the collectivization programs carried out in the occupied Baltic States. Many Estonians were among the millions devoured by the Gulag labor camp system during this period. The precise number of deaths caused by Stalin’s regime remains unknown. However, civil rights groups suggest that about ten million people died of starvation, more than five million were displaced and about six to seven million were arrested for political reasons. The prologue to the deportations of the 1940s was the Molotov-Ribbentrop Pact and the secret protocols dividing Central and Eastern Europe into spheres of influence. Signing the Pact on August 23, 1939 made Stalinist Russia and Nazi Germany allies for the following almost two years. They became partners in crimes committed against Eastern European nations. Only when the two totalitarian regimes could no longer agree on how to divide up the world did war break out between them. The Soviet Union occupied and forcibly annexed Estonia, along with Latvia and Lithuania, in the summer of 1940. The two largest waves of deportations occurred in June 1941 and March 1949, simultaneously in all three Baltic States. The deportation was implemented according to the top-secret decree known as the "Directive on the Deportation of the Socially Alien Element from the Baltic Republics, Western Ukraine, Western Belarus and Moldavia" by the Central Committee of the All-Union Communist Party and the Council of People's Commissars of the Soviet Union. Repressions targeted various categories of the population, including politicians and military figures, the intelligentsia, volunteers and others. The purpose of this planned extermination and displacement was to annihilate Estonian society, destroy its economy, and erase its memory. Estonia’s losses in World War II, estimated to be around 25 percent of the population, were proportionally among the highest in Europe. Many people who escaped the war stayed close to Estonia, in neighboring countries like Sweden, believing they could return home soon. Only when they recognized that Stalin’s grip on Estonia was getting stronger did many decide to seek refuge further away from home, in places like Canada. The Canadian Museum of Immigration, at Pier 21 in Halifax, recounts one of these refugee stories, that of the small minesweeper SS Walnut. It arrived at Pier 21 on December 13, 1948, after a perilous 26-day voyage from Sweden, carrying 347 refugees who were mostly Estonians. The SS Walnut became known as “The Little Estonian Ship of Freedom.” Pier 21 eventually became an entry point to Canada for more than 14,500 Estonians. According to the museum, one in five Canadians today has a direct link to Pier 21. The Rome Statute of the International Criminal Court lists deportation or the forcible transfer of populations among acts that constitute crimes against humanity. Other bodies like the European Court of Human Rights have ruled similarly. 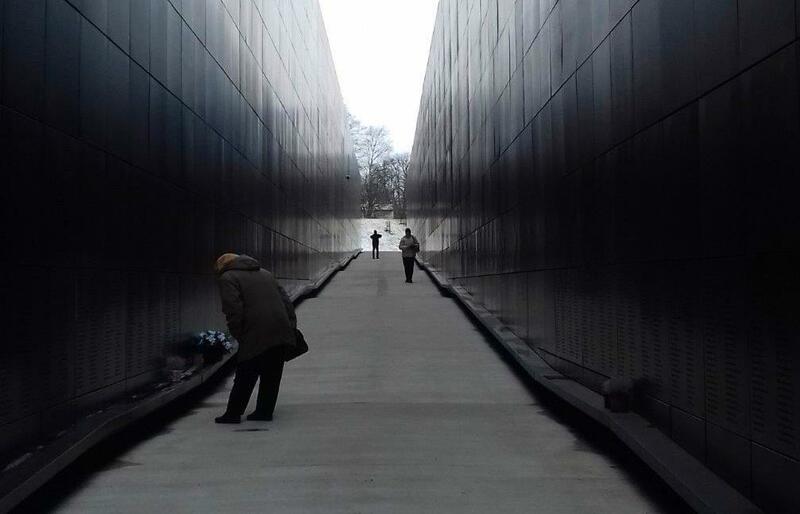 In 2009, the European Parliament adopted a resolution declaring August 23 as the European Day of Remembrance for Victims of Stalinism and Nazism, known also as Black Ribbon Day. The same year, Canada’s parliament unanimously passed a similar resolution, the first of its kind introduced outside Europe. Meanwhile, the Russian Federation, the legal successor state to the Soviet Union, has never recognized the Stalin regime’s deportations as crimes. Furthermore, public opinion research conducted by the independent Russian polling organization Levada Center has found that 57 percent of respondents view the Soviet dictator Josef Stalin as "a wise leader,” while 71 percent of respondents agree that “whatever mistakes or sins are attributed to Stalin, the most important thing is that he led our people to victory in the Second World War.” In today’s Russia, views of Stalin as "a cruel, inhuman tyrant responsible for the deaths of millions of innocent people" has decreased from 68 percent in 2008 to 44 percent in 2018. March 25, 2019. 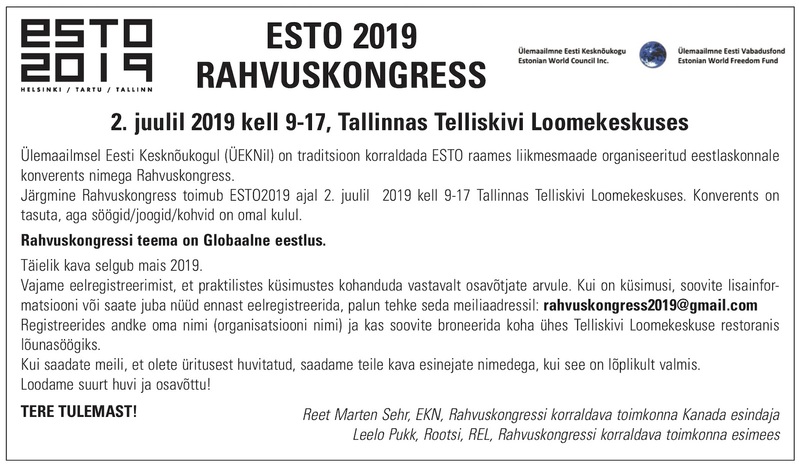 Solemn remembrance events take place all over Estonia and around the world, wherever Estonian communities are present. National flags are at half-mast and candles are lit to express respect for the people who perished but did not bend. The commemoration establishes a bridge between a nation’s history, its people’s identity and belonging. Today, on the 70th anniversary of the 1949 deportations, it is important to consider if crimes against humanity justify claim for “a greater good”. Clearly, the answer is no. However, despite so much revered universal human rights and individual values history seems to repeat itself again. Think of the Crimean Tartars who were deported in 1944, allowed to return home in 1980s and were forced to leave their homes or run again after annexation of Crimea by Russia. Roman Statesman Marcus Tullius Cicero said two thousand years ago that the life of the dead is placed in the memory of living. By commemorating victims of the deportation, we remember them and celebrate their lives, but also expand our perspective on tomorrow: what happened should never happen again, what happens now is for us to make.